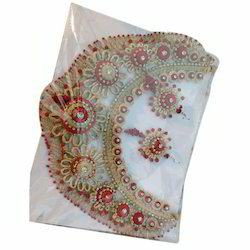 We are successfully ranked amongst the top-notch organizations of a wide range of Jute Ornaments. jute, wooden breed, thread in this combination made my ornaments. all design also available in seven colour this type ornaments size was sprindle. Next to cotton, jute is the cheapest and most significant of all textile fibers. It is used extensively in developed different types of packaging material for agricultural and industrial products. Its coarse character has a unique charm while natural color, heavy texture and twilly kind of body typify its earthiness. 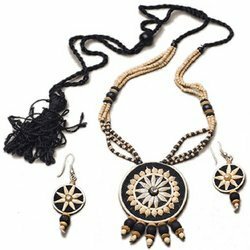 Description - This multi strand ladies jute jewellery is an excellent accent to the jewellery box of jewellery lover women. They lend the neck of wearers a gorgeous look.